Earlier last month, the Outreach and Education Unit of the Lee Kong Chian Natural History Museum hosted a group of 20 students and 4 teachers from Korea International School for a one-day nature education programme. During the first half of the day, the students participated in our Marine Ecology workshop where they learnt about the marine environment, its inhabitants, as well as the challenges they face. In the second half of the day, the participants followed our nature guides out for a three hour biodiversity and heritage exploration of Pulau Ubin, where they had the chance to experience what Singapore would have looked like in her earlier days. Man-y were charmed by the rustic, scenic beauty of Pulau Ubin, and were amazed that mainland Singapore, with her towering skyscrapers could have once looked like that. Memorable sightings during this walk included the passion flower, Oriental pied hornbill, and a lovely large-tailed nightjar! 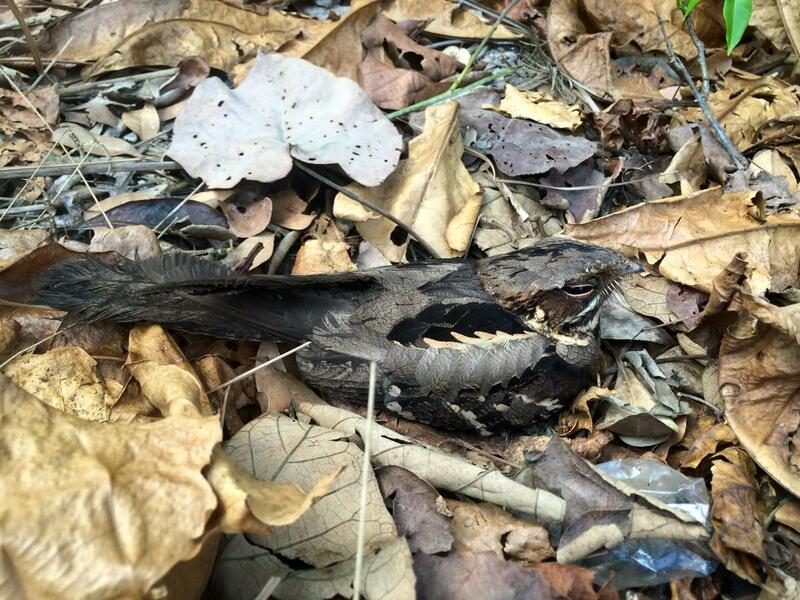 Despite being well-camouflaged against the leaf litter, the nightjar did not escape the notice of our observant participants! Photo by Loh Lih Woon. Customary group shot at the end of the Sensory Trail. Photo by Loh Lih Woon. 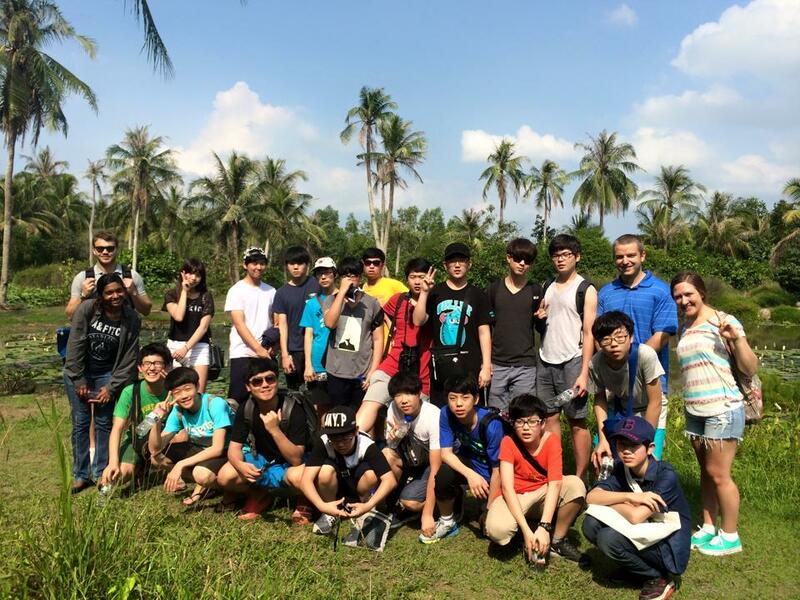 At the end of the guided nature walk, the students put to use the knowledge they had learnt in the Marine Ecology workshop and took part in a coastal clean-up activity near the Jelutong campsite area. They managed to pick up 9.5 kg of trash at the end of a half-hour. Great job by all involved! Even as we prepare for the museum’s opening, our programmes are still ongoing. For customised programmes such as this, please contact us at nhmlearning@nus.edu.sg. Do also keep a lookout for public programmes on the museum blog, website and Facebook page!